Understanding the dynamics of interventions in civil conflict requires talking to people in the field. Ideally, all kinds of people…peacekeepers, peace makers, aid and relief workers, civil society organizations, the local populace and their leaders, refugees, internally displaced persons, and parties to the conflicts themselves. Their stories and insights are as important as any set of statistics. 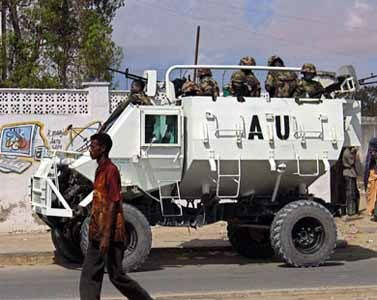 There are many regional as well as local actors and stakeholders in the Somali conflict who have involved in interventions over the past two decades as aid providers, peace keepers and peace makers. During the spring and summer of 2014, I will collect stories of what does and does not work in peacekeeping and humanitarian aid interventions, to develop new data and insights into how complex interventions interact with each other. The data and insights will be used to model the Somalia conflict and test hypotheses of how complex interventions shape conflict dynamics, as seen through the framework of resilience. July 2014: During the month of July, I will visit several European capitals (Geneva, Amsterdam) to discuss research and program design of international donor organizations engaged in Somalia. I will also meet with the NGO founded by the Somali Diaspora in the Netherlands, HIRDA, to relieve the suffering of Somali people in the Horn of Africa. August 2014: During the month of August, I will spend ten days each in Ethiopia, Burundi, and Kenya to conduct field interviews with peacekeeping troops of the African Union Mission in Somalia, local program managers for UN and international NGO programs providing humanitarian aid to Somalia (e.g., UNDP, UNCHR, Mercy Corp, CARE, OXFAM, World Vision, Catholic Relief Services, SaferWorld), local NGOs and civil society organizations (e.g., SEDHURO, HIJRA, Somalia NGO Consortium), and international development organizations active in Somalia (e.g., World Bank).